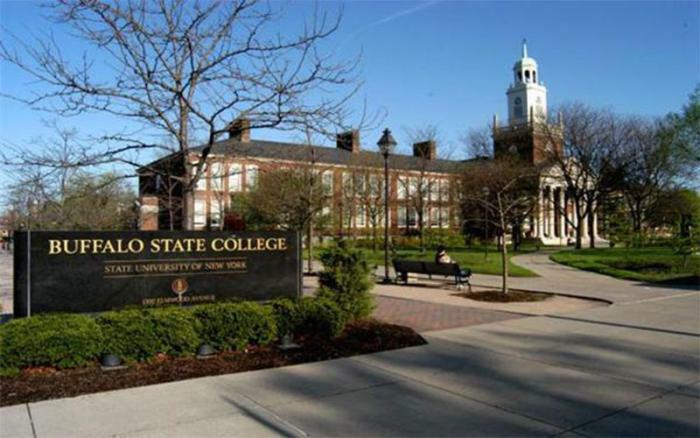 SUNY Buffalo State University Joins HireVeterans.com! Buffalo State is a diverse and inclusive college committed to the intellectual, personal, and professional growth of its students, faculty, staff, and alumni. Their mission is to empower students to succeed and to inspire a lifelong passion for learning. Buffalo State is dedicated to excellence in teaching, research, service, scholarship, creative activity, and cultural enrichment. Through research, scholarly, and creative activities in all academic disciplines, Buffalo State students become bolder and more confident. At Buffalo State, students learn by doing. At Buffalo State, a learning community is a block of courses that explores a complex theme through four or five classes. The faculty work to demonstrate how their particular course reflects the theme and connects to learning in other courses. Students take all of these courses together and form friendships that last beyond graduation. Buffalo State is seeking to Hire Veterans for various positions from Professors to Admissions Advisers. They think that Veterans would make a fantastic addition to their already wonderful learning environment. If you are looking for a new career Buffalo State has you covered. Apply today! Click Here To View And Apply To All Of Buffalo State's Available Positions!